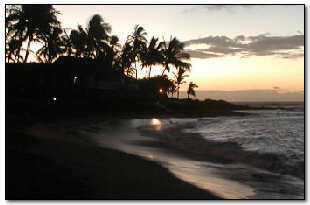 Photographs of Kiahuna Plantation Resort and other island attractions. 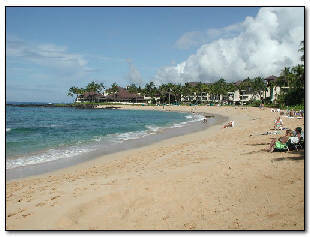 A great spot to relax, the sweeping sandy beach at Kiahuna, the best swimming in Poipu. 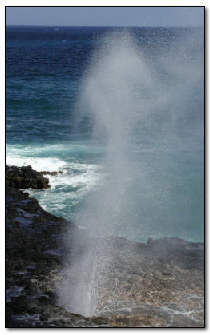 Photographers love the plumes of ocean spray forced up by waves through lava tubes at nearby Spouting Horn, a breath taking outlook for watching turtles or seeing the whales go by. A small flea-market offers souvenirs. 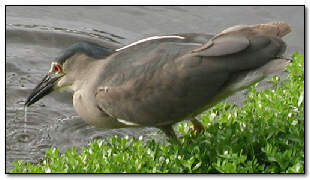 A local "fisherman" tries his luck in the lagoon at Kiahuna. The rare sight of a chameleon on a "crab claw" Heliconia in the Kiahuna Plantation garden. 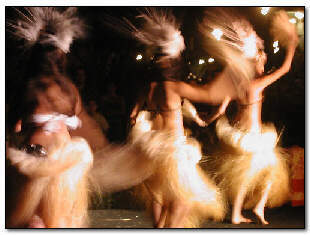 Catch the free performances of local hula dancers at the Poipu Shopping Village on Tuesdays and Thursdays, right across Poipu Road. 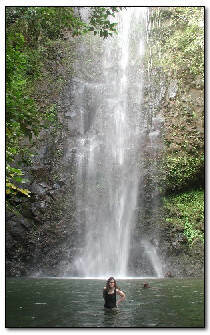 A spectacular Kauai waterfall makes a wonderful destination for an afternoon hike through a lush forest. 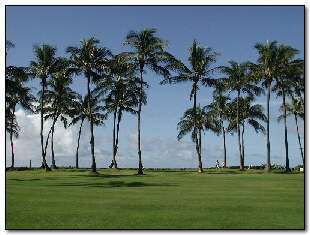 The Great Lawn at Kiahuna offers a bit of shade by the beach and plenty of room to toss the ball.